Promises to improve game further. Hydrophobia developer Dark Energy Digital has released a video showcasing its new Darknet technology, which allows it to receive player feedback in real time. DED said thousands of players have left feedback using the tech, which launched inside the Steam version - called Hydrophobia Prophecy - last week. "We were expecting a slow burn with Darknet, so when we switched on InfiniteWorlds the day after launch and the whole game map lit up like a Christmas tree we were really surprised," boss Pete Jones said. "People really seem to be embracing the connected development philosophy behind Darknet." DED promised to update and improve the game further based on the feedback gathered by Darknet. "Thanks to Steam Cloud we've already delivered several micro updates to address frustrations flagged up by Darknet, such as adding extra checkpoints to alleviate concentrations of frustration data points," Jones continued. "This is just the beginning. With Darknet we've given our players a seat at the board room table, and we have big plans to build an even stronger community and better connections between that community and us as developer." Hydrophobia Prophecy, also coming to the PlayStation 3, is described as version 1.5 of the game that began life on the Xbox 360 last year. It also follows the December 2010 release of Hydrophobia Pure on Xbox Live Arcade. 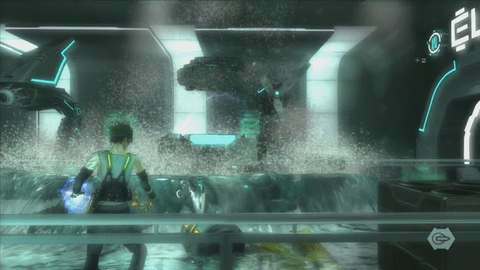 The original Hydrophobia met with stinging review scores, and currently sits on a 59 metacritic score. Hydrophobia Prophecy fared better, and enjoys a 79 metascore. Some staff unpaid for 3 months. New company to pick up pool game. Aquatic adventure drops next week.